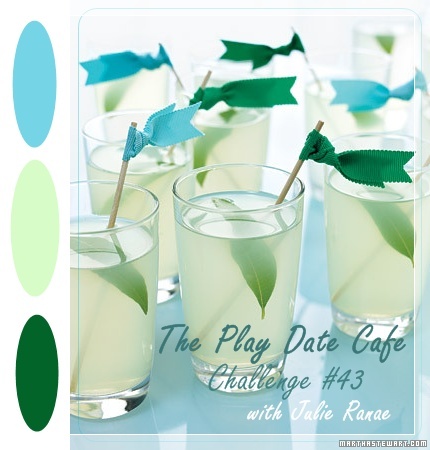 I just love the yummy, refreshing colour combination for this week's challenge at The Play Date Cafe. So I decided to make a card using them which would also fit with the Hero Arts Keeping in Touch and Back to School challenge. originally uploaded by heather maria. I stamped the Wild Flowers on a scrap of speckled fabric (linen I think) with shabby shutters and broken china distress inks. The butterflies are coloured with Promarkers and I had to try out a recent purchase on them – Ranger Crackle Accents. Nothing will be safe from me crackling it now – I was the same with Glossy Accents! I added some thread for the butterflies’ antennae, gems on some of the flowers and a bit of machine stitching. The patterned paper, Heart and Home (Melissa Frances - Amanda), was bought about a year ago and I'm only getting around to using it now. Hope you are all having a brilliant weekend! I was taken with these colors, too! I adore your take on the challenge - stamping on the linen is wonderful - must try this! Just gorgeous, my friend! Gorgeous!! love those crackled butterflies. I can never get the crackle effect like that and yours are beautiful! Glad you decided to join us at the PDCC! just beautiful heather! i'm going to have to try crackling, too. Wow! Stunning! Love you use of fabric and the crackle butterflies are fabulous! Beautiful, Heather! I love your crackled butterflies and the texture from the canvas. The wildflowers look wonderful stamped on the linen, and the butterflies are just beautiful with the Crackled accents! Thanks for playing at the PDCC. Crackle away, Heather. Card itself is beautiful, the butterflies are divine! I love the crackles Heather! Is that sticky-backed canvas? How did you go about cutting it in your machine? Thanks everyone for the lovely comments - I really appreciate them! Jess, it's not sticky backed canvas but just an ordinary piece of fabric. I have lots of scraps of fabric but I think this piece is linen. When I'm cutting fabric this way I just run it through the machine a few times to make sure it cuts through all the threads. Sometimes there's just an odd thread here and there that has to be snipped. In this case the fabric is quite thick so it worked fine. If I'm using a lighter fabric, I'll either cut out a few layers of fabric at the same time or add in a layer of card for a bit of body. The canvas, the cracked glass, the awesome colors... you've thought of it ALL!!! Such a lovely natural card with so many awesome textures! 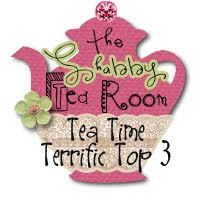 Sorry I haven't been able to comment much this week, but I have been popping in and enjoying all of your FAB creations! Beautiful card, Heather! Hope you are doing well. Hugs. This is stunning Heather, how do you stop the fabric from fraying? I love those crackled butterflies!! Oh my Heather I love your crackled butterflies sooo adorable.....GREAT TO GREAT CARD!! Thanks so much again for all the much appreciated, lovely comments! Sally, this particular fabric doesn't really seem to fray so once I stuck it on the card at the back there was no chance of any fraying. For fabrics that fray, I will use either Bondaweb or a bonding powder and bond the fabric to another piece of backing fabric before cutting out. This way it won't fray. Another way to do it (if I'm not using the Cuttlebug)is to stick the fabric onto card first. This method doesn't work very well with the Cuttlebug as the fabric can come away from the card as it goes through the machine and then it tends to bubble up in some areas. Hope this all makes sense - let me know if it doesn't! SO pretty! I LOVE your crackle, can see how that could be addictive, must look that out! Such a lovely card, the fabric works so well with it, beautiful! Thanks for joining us this week at the PDCC! So very beautiful and elegant! I will have to give that crackle paint a try someday! Beautiful! *Love* your butterflies, and also the subtle stamping on the canvas background. So pretty! Wow! This is all so stunning! Love your canvas stamping! and those butterflies are gorgeous! Amazing card! Heather, this is just STUNNING..... love it. Spent the weekend on the river shannon so only just catching up with everything now... the last hurrah before the kids go back to school next Tuesday. Hope you are enjoying the last of the summer days! Gorgeous, Heather! Love the texture added by the linen and the crackled butterflies are fabulous.. 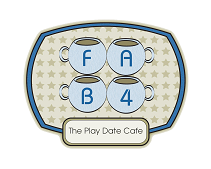 Thanks for playing with the Play Date Cafe! Love that crackled butterfly! So lovely! And the canvas adds so much! this is an amazingly beautiful card!!! I just love it to pieces! Congrats on your very well-deserved win, Heather! This is gorgeous; your cards are always inspiring to me.